Tolleson, Arizona to/from Phoenix Sky Harbor International Airport (PHX). Great Flat Rates! More often than not, our town car flat rate fares to and from Tolleson and the Phoenix Airport (PHX) are less than taxis charge for the same service. So, why travel in a taxi when you can travel to the airport in style and comfort in any one of our luxury vehicles. >> VIEW OUR RATES. A Luxurious Vehicle Fleet. Whether you are a single executive, traveling couple or a large group, Roadrunner has the right vehicle for you. Depending on the amount of passengers, Roadrunner Limousine’s fleet includes town cars, limousines, SUV’s, passenger vans and even 30+ passenger coaches. All our vehicles are clean, comfortable, private late model luxury vehicles equipped with GPS Navigation systems. So, why take a bumpy taxi from Tolleson to PHX when a luxury vehicle is available at Roadrunner Limousine? 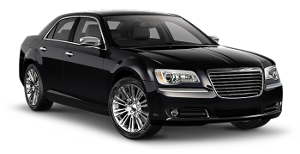 Roadrunner Limousine, serving Tolleson and Phoenix, Arizona, provides exceptional service for its executive clients. Our executive guests expect reliable, convenient and comfortable transportation to or from Tolleson and the Phoenix Sky Harbor International Airport. As important as it is to provide our executive passenger with optimum service, working effectively with their executive assistants and travel coordinators makes everyone’s job easier. For them, we have a state-of-the-art online booking and account monitoring system accompanied by a highly trained staff to help develop and execute the most sophisticated travel plans that any busy executive or corporate group might need. First Time Coming to Tolleson, Arizona – Did You Know? Vision Statement: We will retain the foundation of our family oriented, friendly, small town atmosphere. We will support a positive, diverse growth environment that maintains and enriches the quality of life for everyone. Tolleson is a self-contained community, 10 miles west of downtown Phoenix. W.G. Tolleson of South Carolina founded the town in 1912. Tolleson measures about six square miles and was incorporated in 1929. Once dependent on agriculture, Tolleson today has a strong commercial and industrial base. Principal Industries The City of Tolleson has become a strong distribution hub for companies wishing to deliver products to southwestern markets. This is primarily due to its excellent location just south of the I-10 and the interchange with the new loop 101. The city of Tolleson hosts several large employers, including Sunland Beef, Kroger’s, Albertson’s, Salt River Project, and Sysco Food Systems. In addition to distribution and food, fiber and natural products, the community has a strong manufacturing structure.